HANOI, Vietnam (Laserfiche)—Oct. 27, 2008—Laserfiche®, a U.S. electronic document management software development company and Quadralink, the exclusive distributor of Laserfiche products to Vietnam, today announced the official signing of a memorandum of understanding (MOU) with the Vietnamese National Institute of Software and Digital Content Industry (NISCI) to provide electronic document management software services and solutions. During the initial evaluation stages, Laserfiche and Quadralink will provide NISCI staff with training regarding implementation and utilization of Laserfiche software products as essential solutions for building secure, legally sound archives for the Vietnamese government. NISCI (https://www.nisci.gov.vn) was founded in accordance with Decision No. 901/QĐ/TTg dated July 19, 2007, from the Prime Minister of the Socialist Republic of Vietnam, with main offices in Hanoi. It is a science and technology unit under the administration of the Prime Minister, and the management of the Ministry of Information and Communications (MIC). NISCI is tasked with helping the MIC Minister with research, building and deployment of strategies, policies, plans, and software projects related to the digital content industry. In addition, the NISCI oversees training and development of high-level human resources for the ICT industry and research, development, and technology transfer of software products and services, including digital content delivery. 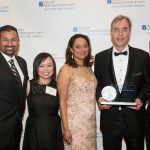 Quadralink (https://www.quadralink.com) is a company with headquarters in Canada that was founded by senior experts in administration, IT, and finance to introduce some of the world’s leading IT solutions to developing countries, including Vietnam. 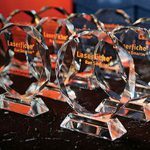 Quadralink has worked together with Laserfiche to develop a Vietnamese OCR solution, and has integrated it into Laserfiche’s comprehensive solutions.